Storm and Silence, by Robert Thier, is a powerful fictional story written in the view of Lillian Linton. Her want for freedom shows how determined and motivated she is to get what she wants. This book is also great to read when one needs a little relaxation! There are many twists and many moments that absolutely make this book to die for. 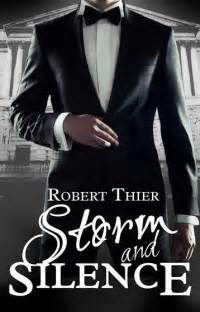 Join Storm and Silence- a world that consists of adventure, action, the feeling of powerful adrenaline, three adorable little pigs, and maybe even a spark of romance between the icy eyes of Sir Ambrose and the fiery aura of Ms. Linton. Storm and Silence pictured above.